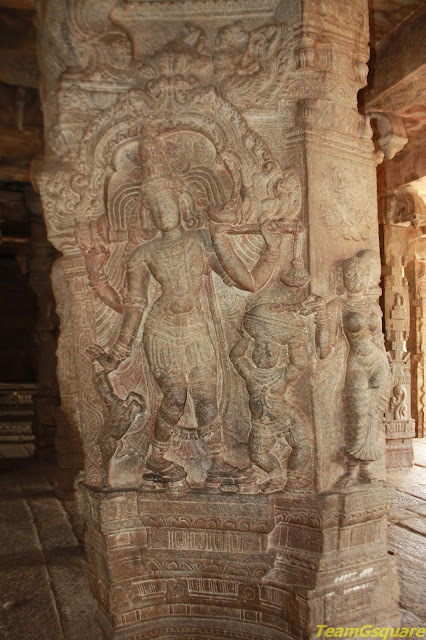 Bhikshatana, one of the forms of Lord Shiva is depicted as a naked beggar accompanied by a dwarf who carries an alms bowl (bhikshapatra), and animals like the deer and dog. Bhikshatana murti or form is also considered to be a gentler phase of Bhairava between his two horrific forms of Brahmashirascheda murti (form assumed when Lord Shiva severs the head of Lord Brahma) and Kankala murti (form assumed when Lord Shiva kills the door-keeper of Lord Vishnu). There are various legends associated with the origin of the Bhikshatana form of Lord Shiva, the most common being that Lord Shiva had an argument with Lord Brahma regarding the supreme creator of the Universe and with both being equally adamant about their superiority, the anger only built up on both sides. This fiercely debate provoked Lord Shiva to decapitate Brahma's fifth head (facing upwards) with his left thumb nail, after which the head of Brahma stuck to Shiva's left palm due to the sin he committed. In order to compensate for this heinous crime of Brahmahatya, he had to turn into mendicancy and hence assumed the form of a naked beggar and wandered the world begging for alms for twelve years. Sometimes his hair is arranged in a jatabhara (matted hair) or is seen standing on end and a bell is tied to his right leg, indicating that he is outside the Vedic religion. 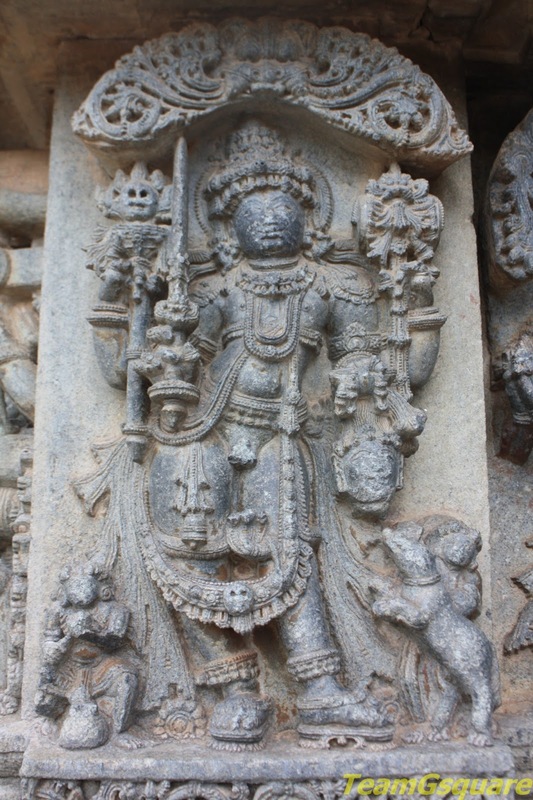 He is seen with four hands, carrying a staff with the bones of Brahma and Visvaksena (Lord Vishnu's door-keeper) attached to the top, a skull-cap and a drum. A snake is also seen encircling his body which is adorned with a few ornaments. 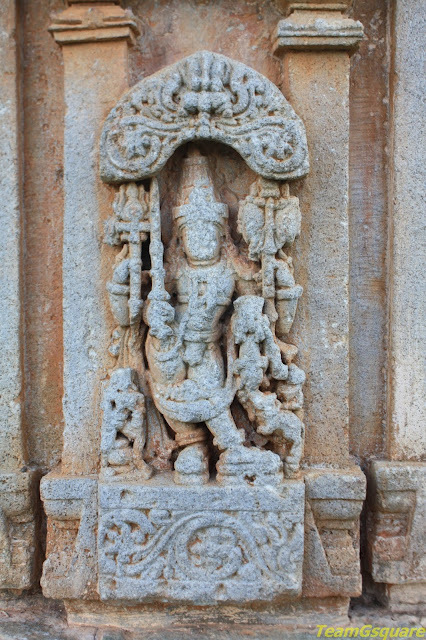 An interesting feature distinguishing Bhikshatana from other forms of Shiva is that he is often seen wearing Padukas (footwear) or wooden sandals which is rarely seen in the iconography of other forms of Shiva. The fierce form of Kankalamurti is seen wearing a necklace of skeletons (kankala). Sometimes he has a long staff topped by Brahma's skull, or a trident with the corpse of Visvaksena fixed to it. Interesting story nice to know the background behind these figures. Superb shots and good to know about the story...i did not know it. Nice to see your renewed efforts in research as well as identify rare gems!